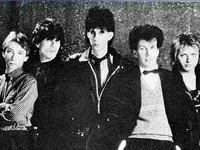 “Drive” is a 1984 song by The Cars, and their biggest international hit. The Song was written by Greg Hawkes and it is the third single from the band’s Heartbeat City album. Lead vocals were by The Cars‘ bassist Benjamin Orr. “Drive” was The Cars‘ highest charting single in the United States, peaking at #3 on the Billboard Hot 100 chart. On the Adult Contemporary chart, the song went all the way to #1. It also got to #5 in the UK singles chart, becoming their second biggest UK hit. it was re-released in the UK in 1985 (after the Live Aid performance at Wembley Stadium), this time it charted at #4. The song was also a big hit in what was West Germany, reaching #4, and in Canada, reaching #6. In addition, it was famously used as part of the Live Aid concert in 1985, as the background music to a montage of clips showing poverty-stricken Africa. The song is about drug abuse. The music video for the song stars, besides Ocasek and Orr, Czech-born supermodel Paulina Porizkova, who later married Ocasek. The video was directed by actor Timothy Hutton. * The Paradise Motel included a cover of “Drive” on their 1999 album Flight Paths. * A New Zealand electronic act, The Strawpeople recorded a cover of “Drive” for their 1999 album, No New Messages. Bic Runga supplied vocals. * An acoustic version was recorded by the German hard rock band Scorpions for their Acoustica album. * Deftones include a bonus track covering this song on their 2006 album Saturday Night Wrist. * Jars of Clay recorded a cover of the song during the recording sessions for their 2006 release Good Monsters, but it did not make the final track listing. However, the song was released on a Nettwerk-released promo disc entitled Reel To Reel, Volume 3.4. The band has stated that the cover will be released officially on an upcoming release in 2008. * Blu Mar Ten on their album The Six Million Names of God. * Sarah Slean covered the song in various shows of her 2006-2007 tour. * The popular Canadian teen drama Degrassi: The Next Generation, which was notable for naming each episode after a hit song from the 1980s, named an episode after this song. * The song appareared most recently in the live action film Transformers, during the scene where Bumblebee plays the theme to encourage Sam Witwicky (Shia LaBeouf) to give his love interest, Mikaela Banes (Megan Fox), a ride home. Particularly the portion of the song that says; “who’s gonna drive you home, tonight?”. * A short excerpt of the song was played at the Dior Couture fashion show.